Every day, every minute we're hearing about the ever-exciting and ever-evolving concept of 'disruption'. All professionals, industries and economies are ripe for disruption and need to be preparing adequately to ensure they don't get taken over by the next big thing - most likely more digital, agile, and tech-related than ever before. While 50% of the above is sarcastic and a result of being exhausted by the over-use of the term 'disruption' (alongside digital transformation, innovation and agile), 50% reflects what I and many others are genuinely seeing in the market. The truth is, whether you've been in business for 30 years or 3 months, your business and how it has run is constantly changing to address the new pace of consumers, information sharing and purchasing behaviour. The most famously successful businesses are doing this incredibly well, and are exemplifying 'disruption' through their unique processes, team structures and skills sets, and product offerings. But with disruption of a market or industry, comes the need to disruption a habit. A habit such as, let's say, using plastic bags at the supermarket. According to the below article, 45% of our daily actions are habitual, meaning that any business wanting to change how we work, think or communicate has a huge challenge ahead. 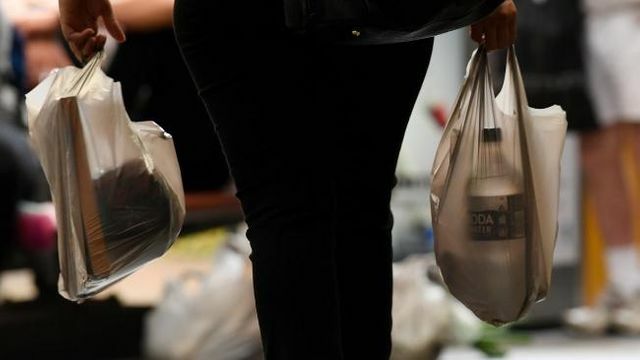 Furthermore, habits are often replaced by other habits - and in the case of plastic bag purchases, research unfortunately found this was replaced with increased purchasing of plastic bin liners. Obviously, this was a disappointing result. So, not only do today's disruptors need to stop old habits and introduce new options, but their offering needs to be attractive enough to actually become habitual in itself, AND the alternative they're offering needs to take into consideration any further complexity or issues it could introduce that could potentially amplify the original problem it's setting out to solve. Core to all of this is, as pointed out in the article, effective marketing and communication. Why? Because if you really think about it, all the habits you have today are based on something someone taught or told you, and to change a habit will require a similar education (or re-education in some cases) process. So to all the disruptors out there looking to change the world, I urge you to think of yourself as a teacher as much as an innovator and entrepreneur. From what we can see, this frame of mind will go a long way in ensuring your business successfully disrupts behaviours by shifting habits. One of the most challenging tasks for marketers is to bring about changes in consumer behaviours that have become habitual, routine and “low involvement” — why spend time stopping and considering various brands of laundry detergent, for instance, when you can just quickly grab the one you’ve always used? The very nature of habitual behaviour means that responses to the same situational cues happen automatically and with little conscious thought. Habits are powerfully ingrained. One study estimates that around 45 per cent of our daily actions are habitual, and most of our purchases and consumption is of the low-involvement variety. Repetitive consumer behaviour is a tough cycle to disrupt. And it is the very nature of these habitual responses that make many standard interventions relatively ineffective.